Wishing All Mom's a Happy Mother's Day! 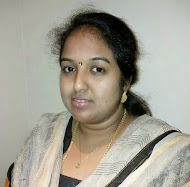 Here is a Virtual treat to my Mom to celebrate this special occasion!. 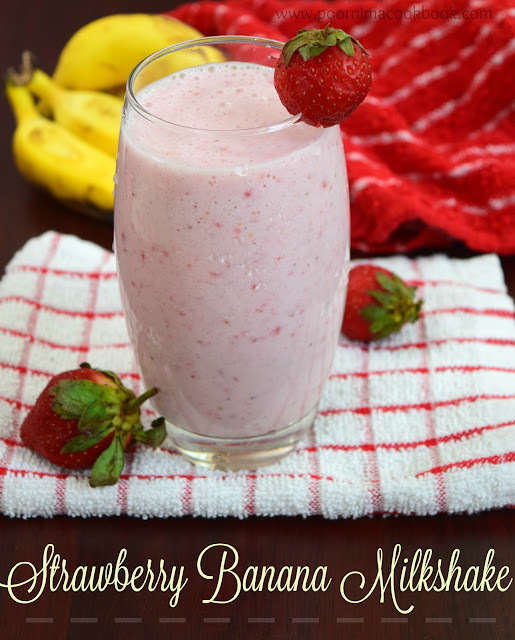 This is a egg less, healthy and easy to make dessert to share with your loved ones. 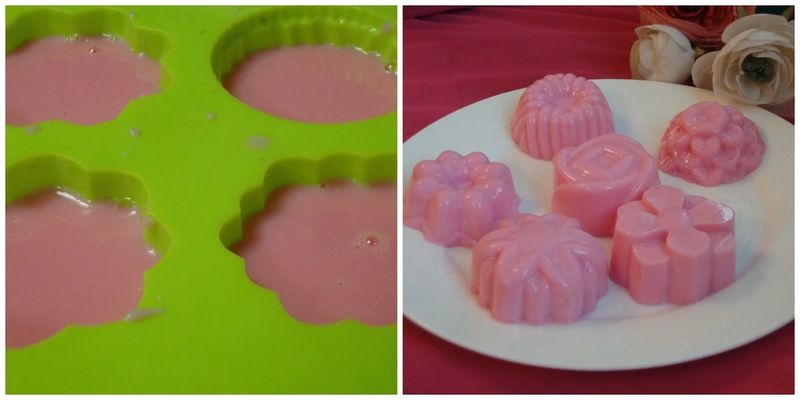 I got this jelly mould from my friend lakshmi. Agar agar (china grass) is a vegetarian substitute for gelatin which is flavorless and odorless, which makes it an excellent thickening agent for cooking especially for desserts like puddings. 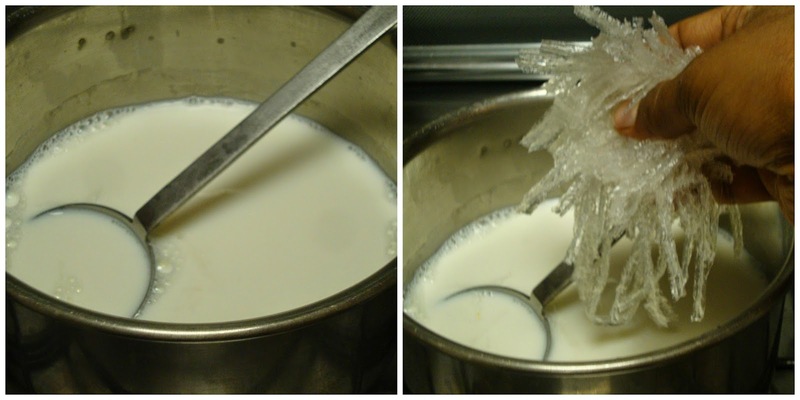 Agar Agar is a rich source of calcium and iron, and also very high in fiber. It contains no sugar and fat free. It is known for its ability to aid in digestion and weight loss. 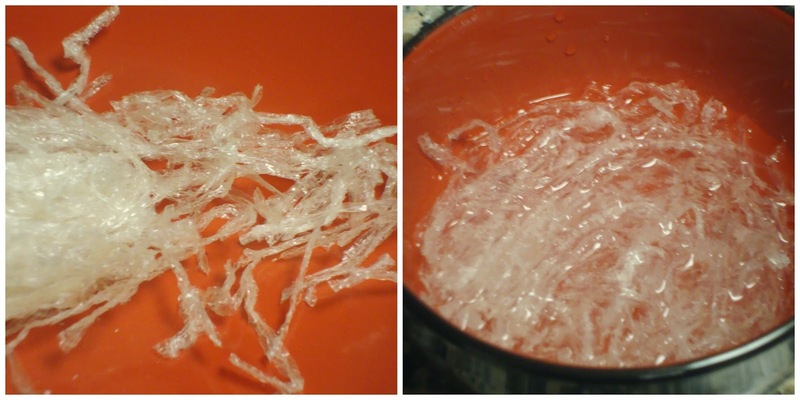 Cut china grass into small pieces and soak in water for nearly 15 to 20 minutes. Add milk in a pan and allow to boil. Meanwhile squeeze the excess water from the soaked china grass and add it to the boiling milk. Stir well till it is dissolved. After it is done; switch off the gas. 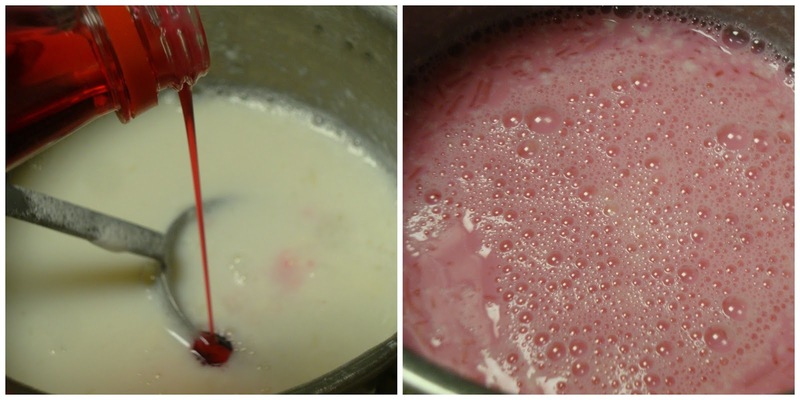 when the milk is warm add rose syrup and sugar( optional) and mix well. Pour into moulds or paper cups and refrigerate for 3 to to 4 hours . De mould or serve as it is. 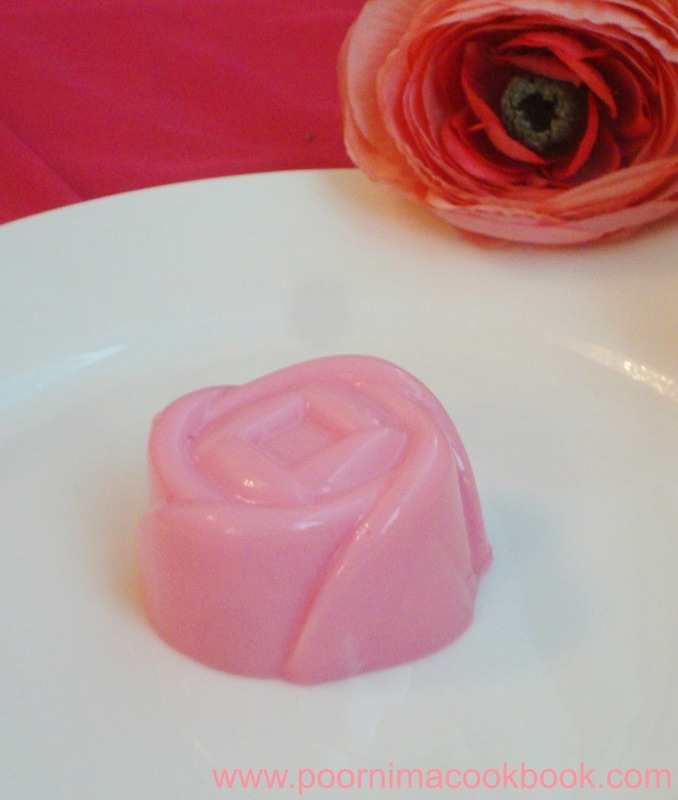 I used rose syrup which already have sugar in it; if you are adding rose essence add sugar to suit your taste. You can also add condensed milk for extra taste. 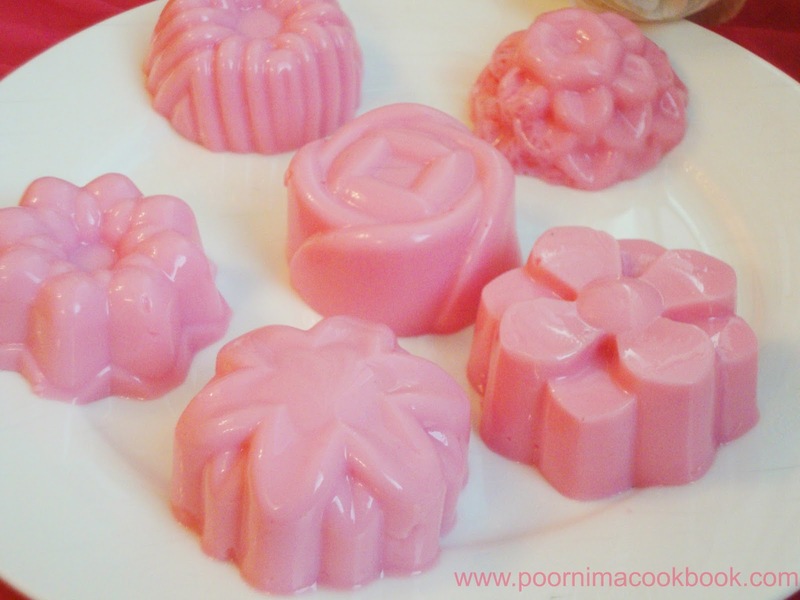 Agar agar has tendency to set fast even in room temperature, so pour it immediately into moulds and allow to set. 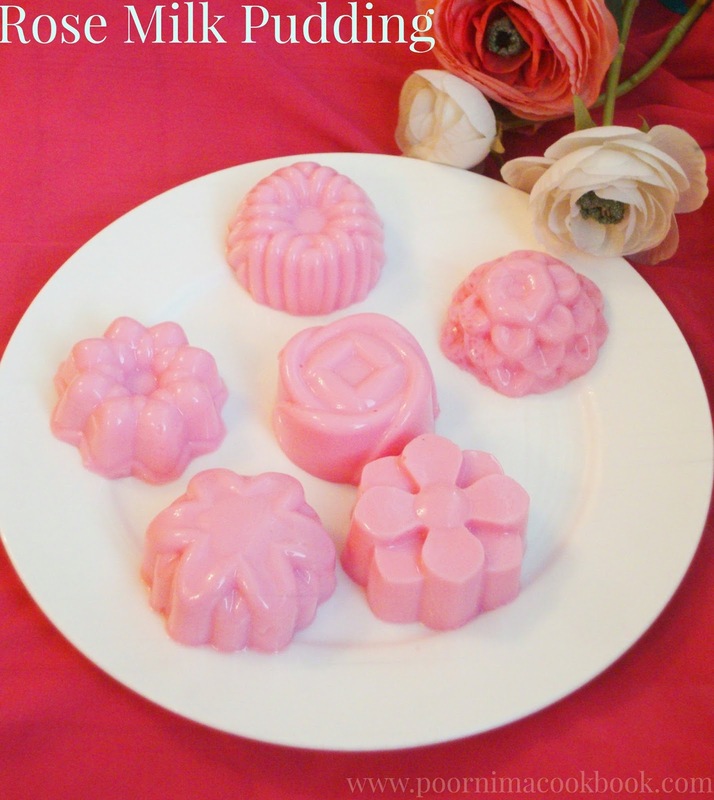 If you don't have any specific moulds, you can also set in any trays / bowls; if so slice and serve. It taste best when chilled. 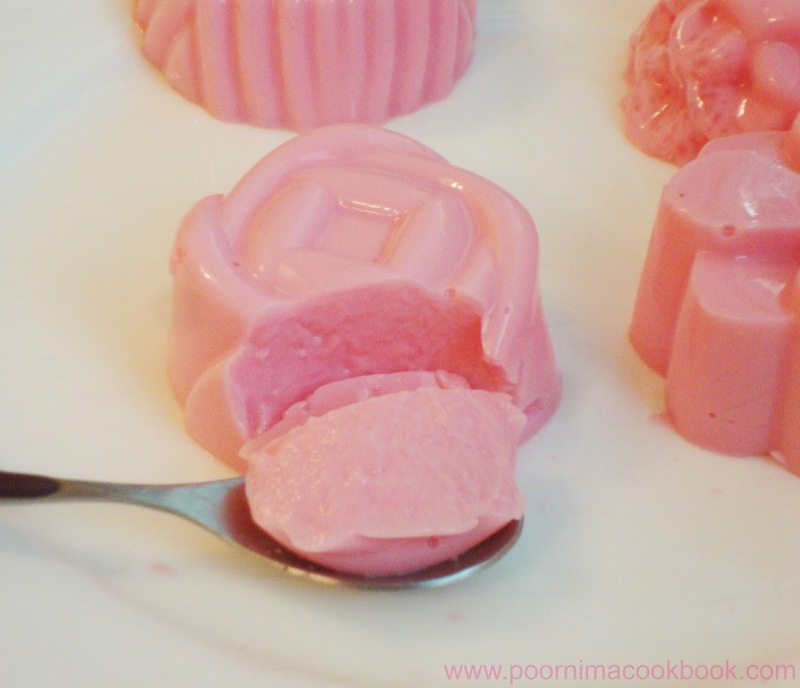 Rose pudding looks so colorful nd Yum. Love the shape and the texture. Those cute pudding looks fabulous, i dont mind having some.